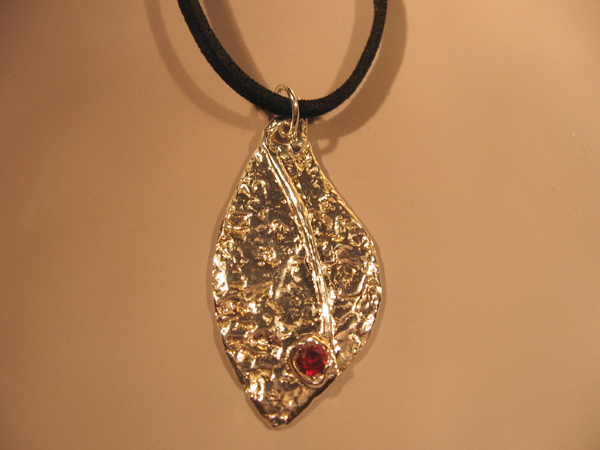 Fine silver leaf shaped pendant with 4mm faceted ruby. 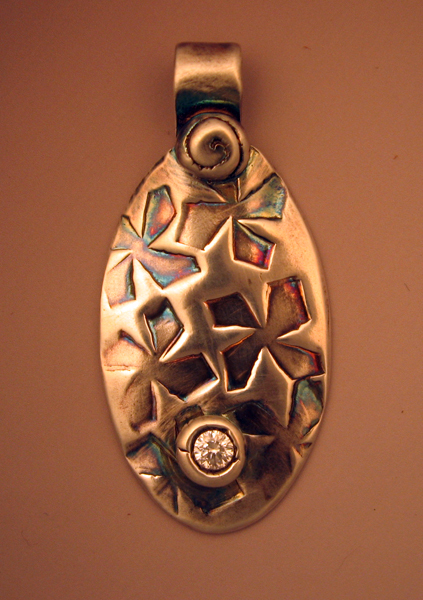 I created my own texture stamp using different sides of a torn sea sponge then stamped the silver. The rough texture of the sea sponge means no matter how many times I use the same stamp, I can never re-create the same effect. Beautiful! This highly polished silver pendant features an organic silver swirl ending in a 4mm faceted ruby. Pendant comes with your choice of a 16" black suede cord with a lobster clasp or an 24" silver-tone chain with a simple spring clasp. 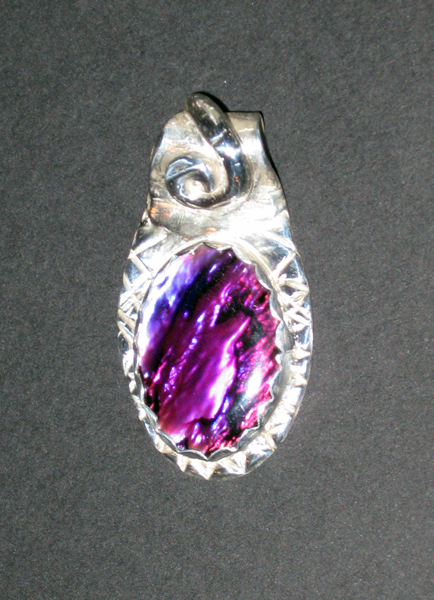 Fine silver PMC pendant with purple (dyed) paua shell in a scalloped bezel setting. 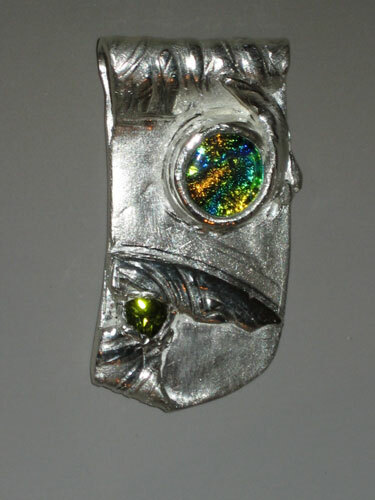 The top of the pendant has an organic shape inspired by Ammonite shells, continuing the nautical theme of the inset paua shell. Pendant comes with your choice of a 16" black suede cord with a lobster clasp or a 24" silver-tone chain with a simple spring clasp.